Guatemala is the most populous and the most industrialized country in Central America. It is by far the country with the highest percentage of indigenous population. Among the indigenous are the Maya, whose highly developed civilization from 300 to 900 C.E. made magnificent advancements in architecture, music and mathematics. In addition, the Maya built an extensive trade network. They were enslaved in the 1500s by the Spanish conquistadores, who forced the Maya people to serve colonial estate owners. Since gaining independence from Spain in 1821, Guatemala has been ruled by the military for most of its history, with the exception of two popularly elected governments that provided a 10-year period of democracy from 1944 to 1954. Amid U.S. government claims of communist influence, the democratically elected government was toppled in 1954 in an invasion by U.S.-backed Guatemalan exiles. The ensuing military rule helped perpetuate an intense concentration of wealth and land that left the indigenous Maya population almost totally disenfranchised and thus contributed to a 36-year-long civil war. While peace accords were signed in December 1996, they were never ratified by Guatemala’s Congress; the disparities continue, and the country continues to struggle with violence, corruption and economic challenges. Those in marginalized communities, the majority of whom are indigenous (Maya, Xinka and Garifuna), remain politically, socially, and economically disenfranchised. Mission work done on behalf of the PC(USA) in Guatemala is done in partnership with the National Evangelical Presbyterian Church of Guatemala (IENPG) and the Protestant Center for Pastoral Studies in Central America (CEDEPCA). Eliane Menezes grew up in Brazil but has been in the States for more than two decades. Eliane received her Master of Divinity degree from Louisville Presbyterian Theological Seminary in Louisville, Kentucky, and has helped the PC(USA) promote its multi-language ministries. In 2007, she was a consultant to the PC(USA) office of New Immigrant Groups Ministries in the U.S.A. in the area of Portuguese language ministry. From 2007 to 2010, she worked with the Presbytery of Tropical Florida in Pompano Beach, Florida, in designing and implementing its Portuguese language ministry. 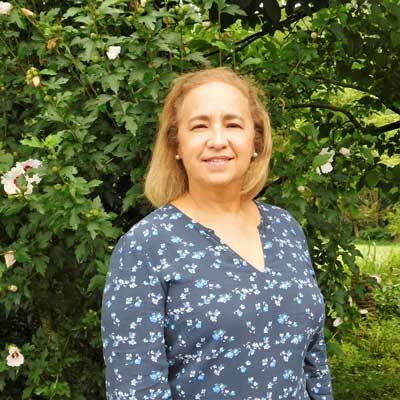 From December 2010 to June 2011, Eliane served as guest pastor at San Pablo Presbyterian Church in Brownsville, Texas, where she conducted bilingual worship services. In addition, Eliane was a religious service coordinator and chaplain at Port Isabel Service Detention Center in Los Fresnos, Texas. Most recently, she served as staff chaplain at Homestead Hospital in Homestead, Florida, and Mariners Hospital in Tavernier, Florida. An ordained minister of the Word and Sacrament, Eliane is a member of Tropical Florida Presbytery.